Please bear with me as I work on updating my portfolio section. I have a ton of great projects I want to share and just need to find the time to put them up. In the mean time, here’s a little project I did for a friend not too long ago. 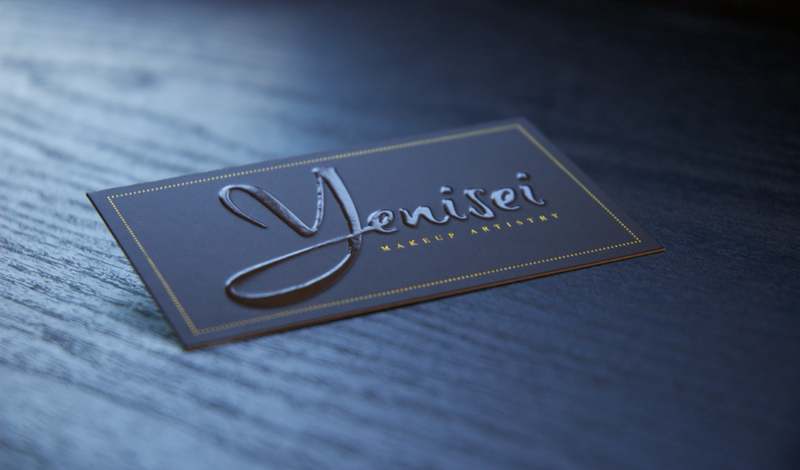 My dear friend Yenisei came to me with a request to design her new business cards for her freelance makeup artistry. She wanted something that was classy and represented the elegance associated with her upscale clientele. The cards were done on 130lb black card stock with gold foil details on the border and words ‘Makeup Artistry.’ I had her name embossed and also screened with a layer of gloss uv coating to give it a nice pop without the need to add color to the card.